Toronto have confirmed that Canada international Quinn Ngawati has left the club to pursue an off-field career in aviation. The 19-year-old has now left the Wolfpack and will return home to Victoria, British Columbia, to continue his professional development in aviation. Ngawati made history in rugby league in 2017 as he became the first Canadian-born player to play professional rugby league. 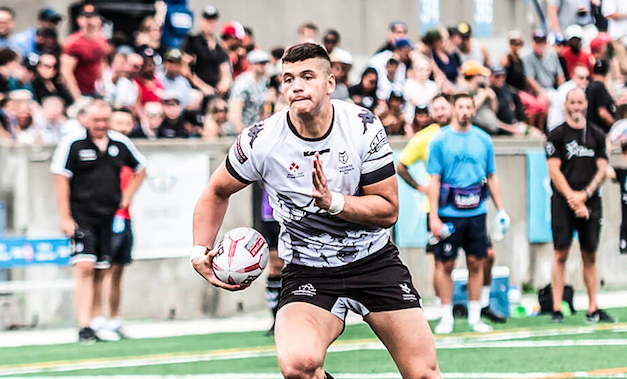 On his departure out of Toronto, Ngawati said: “I would like to thank all the Wolfpack fans, especially the ones showing up at Lamport to support the boys. Wolfpack director of rugby Brian Noble is sad to see Ngawati leave the club, but fully respects his decision. He added: “We are extremely sorry to see Quinn leave the Wolfpack. “He goes with the club’s full support as he looks to develop his rugby career in Victoria and his off-field career in aviation. “For a young man making his name in the game, Quinn has shown a huge desire to learn and develop in a professional environment, and he has proved to be extremely popular with his team-mates.